Department of Art | Student needed for screen printing project! Home » Student needed for screen printing project! Student needed for screen printing project! Photo of the 10 vests! The Kearney Center (the new homeless shelter on West Pensacola) has just purchased 10 neon green vests that student and client volunteers can wear when we do road-side clean up outside of our shelter. 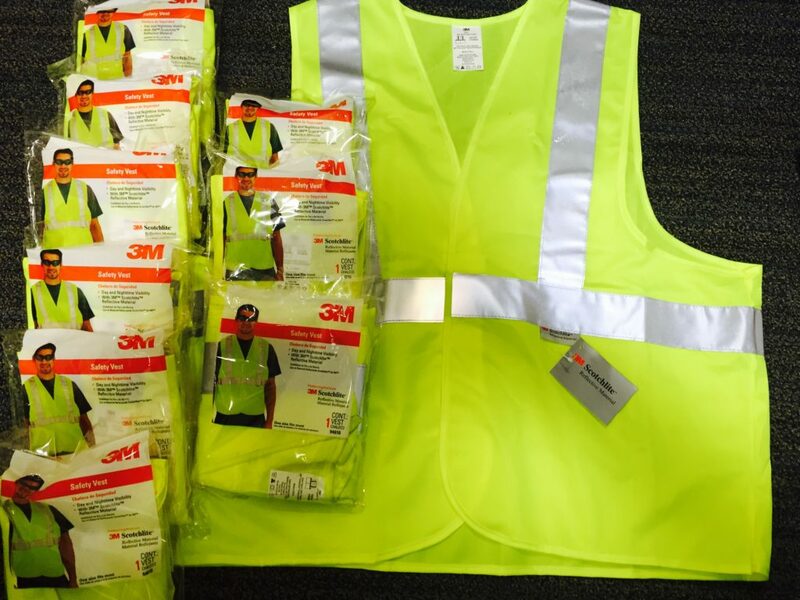 We would like “Kearney Center Volunteer” printed on the back of these vests so that the community sees that our clients are contributing to the cleanliness of the neighborhood. FSU is very involved in our efforts and has been an excellent partner since we opened in April of this year. We would love to add you to our list of partners and potentially collaborate on future projects. We need these vests to be completed by Thursday the 29th. That is one week form the day this post is uploaded. I realize that this is a short deadline, but these vests need to be put to work in our community quickly! Contact Monique Ellsworth at monique.ellsworth@cesctlh.org.